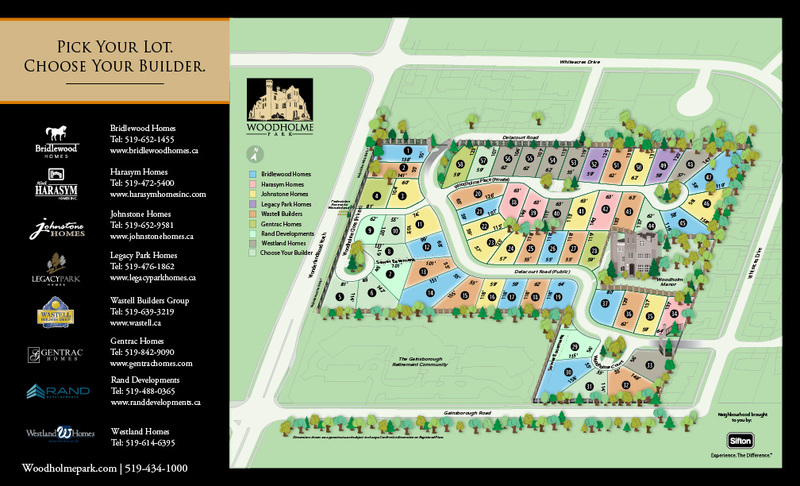 Woodholme Park development is located in north London, northeast of Wonderland Road N. and Gainsborough Rd., behind the Gainsborough Retirement Community. The condominium community incorporates properties on Delacourt Road, Woodholme Court, Woodholme Close and Woodholme Place. - Turn RIGHT off Wonderland Rd. N. on to Gainsborough Road. - Follow Gainsborough Road to the end where it bends LEFT and becomes Whiteacres Road. - Turn LEFT off Whiteacres Road on to Delacourt Road to enter Woodholme Park. - Turn RIGHT off Wonderland Rd N. on to Whiteacres Rd. - Turn RIGHT off Whiteacres Rd. on to Pitcarnie Road - becomes Delacourt Road winding into Woodholme Park.